I got something very valuable to share with you. If you are a Singaporean, it matters you more. I’m talking about this interview of Guy Kawasaki on his opinion of entrepreneurship culture in Singapore. If you’re unsure who Guy Kawasaki is, he’s said to be an entrepreneur extraordinaire, famous for his role in making the Macintosh computer a cult-like worldwide phenomenon. He came to Singapore recently to be the judge of Stanford Global Entrepreneurs Challenge here. This entry was posted in Ding Neng on April 19, 2011 by dn. 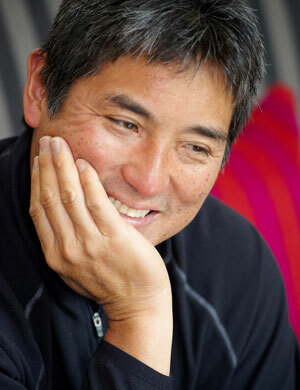 Guy Kawasaki is the ideal personality who is an inspiration to millions of Asians specially the entrepreneurs. The never die spirit of the former Apple guy has in fact been one of the motivating factors for dozens of young aspirants. One of the best things he said and from which I draw my inspiration is, “What you should do is create a great product or service…the goal is to change the world…if you do that, maybe you’ll be a legend.” I may not invent like him but through my service I try to improve the lives of other people and maybe, if we all do our bit,this world will be a much better place.